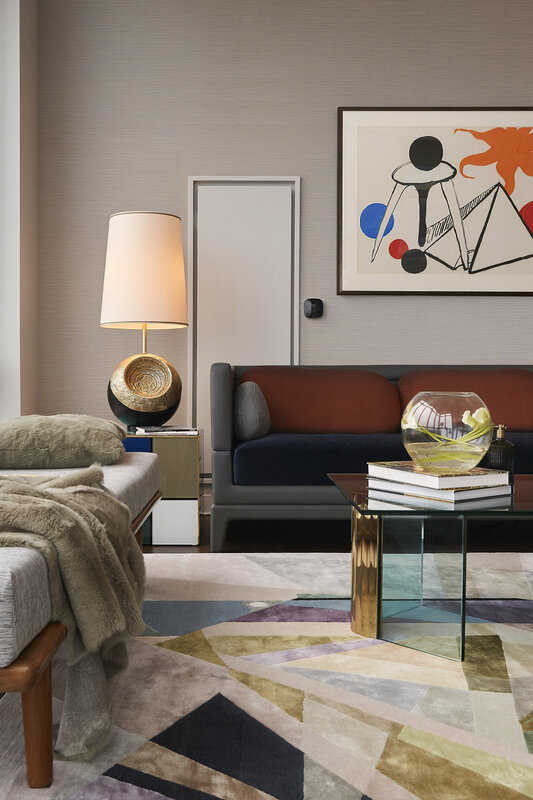 This Midtown New York apartment is the ultimate cocktail lounge-come-home, with rich varnished wooden furniture, chic metallic accents and Mid-Century design silhouettes. 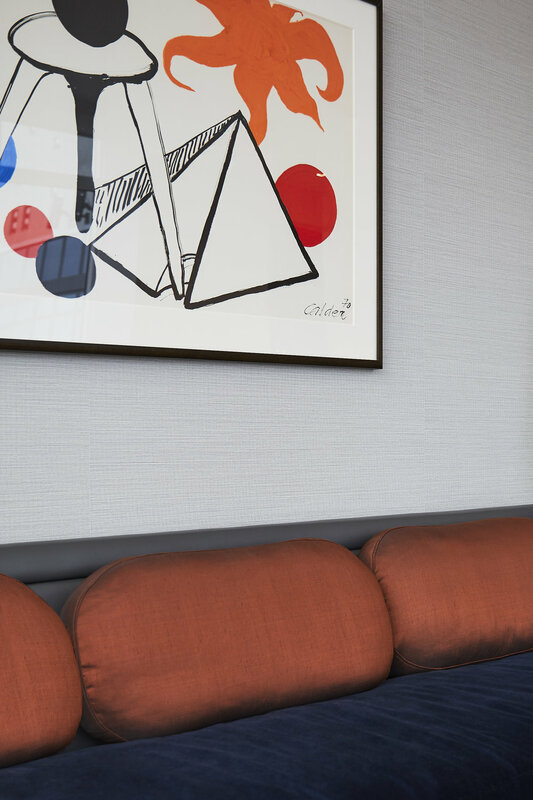 Abstract art hung on the walls determines the accent colours of the space, breathing new life into the timeless “splash of red.” By combining savoury mustards, navies, clarets and greys, Designed by Woulfe has created a serene, calming space that is equally and unequivocally modish. 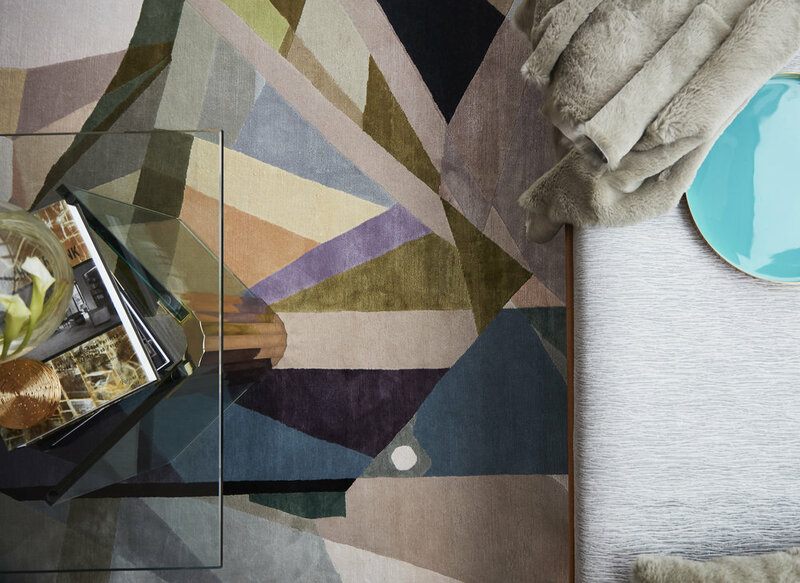 The glass coffee table and slim-legged furniture gives the illusion of greater floor space in one of the West’s most populated cities. The spindling legs of console units and stools, a drinks trolley and armchairs provide an uninterrupted view across the room, bringing an overall lightness to the property. Most crucially of all is the floor-to-ceiling windows and the awe-inspiring view that this apartment boasts. From the peaceful grace of a New York morning to the golden glow of the setting sun, the aesthetic of this home is ever-changing and organic.